Separate egg yolks and whites, reserving whites. Cream egg yolks and sugar, heat the milk – but do not boil – and slowly stir egg yolks and sugar into hot milk and cook until mixture just coats a spoon (as with custard). 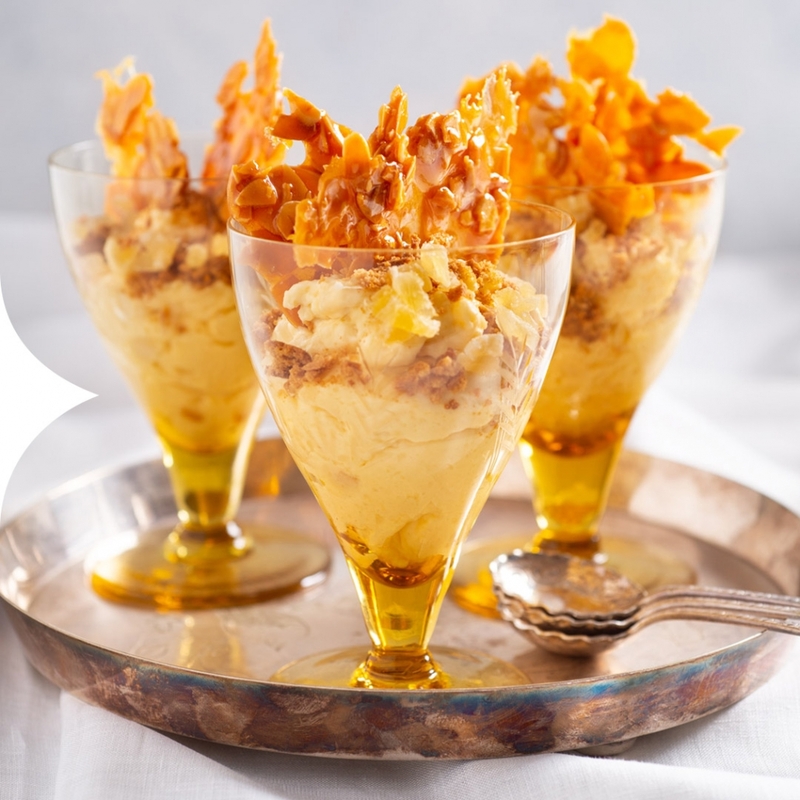 Dissolve gelatine powder in the custard and pass through a fine sieve. Add half the diced ginger to the mixture. Heat the ginger wine and rum together to reduce slightly, then set it alight and leave to burn until flame dies out. Allow to cool a little before combining it with the custard, then mix well and allow to cool. Stiffly beat egg whites. In a separate bowl, beat the cream. When custard mixture is almost cold, fold in stiffly beaten egg whites, followed by whipped cream. Spoon the mousse into serving glasses and place in the refrigerator to set for at least 1 hour. Decorate with remainder of preserved ginger, and add additional whipped cream and/or chocolate shavings. Serves 4 – Top with Ice-cream!